Must have accessory for your PinSound board! Connect easily your headphones and enjoy a deep game experience! Features: night friendly status LED, mute-on-plug, volume control, change sound package on-the-fly and hook your headphones! 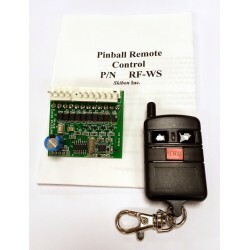 Get the best of PinSound for your Data East pinball machine! Everything needed is included in this pack: PinSound+ sound board, powerful new speakers, headphones connectivity, power booster, ... Bring your machine to the next audio and gameplay level! 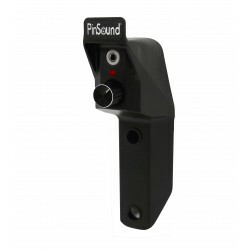 Get the best of PinSound for your Stern Whitestar pinball machine! Everything needed is included in this pack: PinSound+ sound board, powerful new speakers, headphones connectivity, ... Bring your machine to the next audio and gameplay level! High grade manufacturing pinballs for your pinball machine! 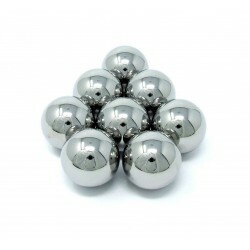 Pack of 8 chromium premium quality balls for any pinball machine. Best ever quality: absolute mirror finish, you won't find more shiny pinballs! 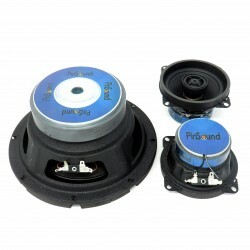 High quality speakers kit specifically designed for Bally / Williams WPC pinball machines equipped with PinSound!These speakers replace your stock speakers to get an amazing sound and the best of your PinSound board capabilities!Easy installation with a friendly manual (no permanent modification on your pinball machine). High quality speakers kit specifically designed for STERN Whitestar pinball machines equipped with PinSound!These speakers replace your stock speakers to get an amazing sound and the best of your PinSound board capabilities!Easy installation with a friendly manual (no permanent modification on your pinball machine). 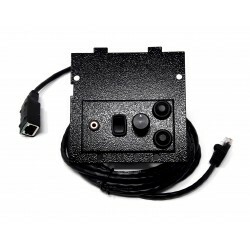 You need this adapter to connect the PinSound board to a SEGA / STERN Whitestar pinball machine. Note: this adapter is already included when purchasing a PinSound board with the Stern / SEGA Whitestar option. 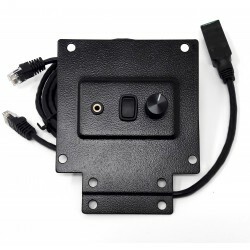 PinPAC8-PinSound for Bally/Williams/Data-East/Others The Pinnovators integrated headphones coin door panel, compatible with your PinSound board. Connect your headphones, control the volume of the headphones and mute (or unmute) the speakers directly from the panel installed in your coin door. PinPAC8-PinSound for STERN Whitestar The Pinnovators integrated headphones coin door panel, compatible with your PinSound board. 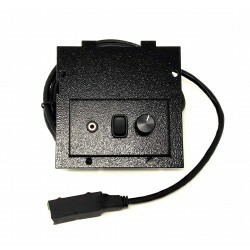 Connect your headphones, control the volume of the headphones and mute (or unmute) the speakers directly from the panel installed in your coin door.